Rare and undiscovered investments are the key to a truly diversified portfolio. First Capital’s institutional infrastructure includes a five-step process that allows us to more effectively analyze, communicate and manage the information necessary to make sound decisions. 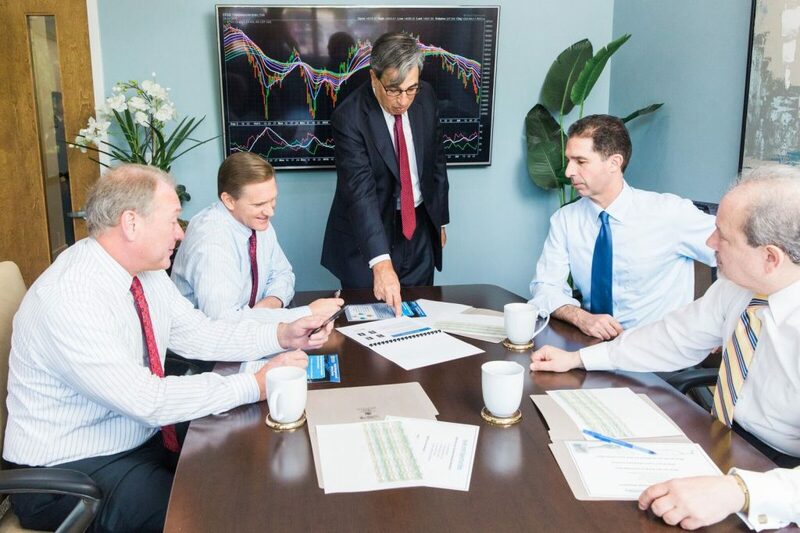 From macroeconomics and strategy allocation to manager selection, portfolio construction and risk management, we provide the depth and breadth of insight that has become critical in an increasingly correlated investment world. First Capital’s institutional infrastructure incorporates the processes that help us more effectively analyze, communicate, and retain the information necessary to make sound decisions. More importantly, this process has been honed over time with the goal of providing enhanced client outcomes. Our investment team evaluates the global macro environment and business cycle stage. We establish a framework for capital market return and risk assumptions, which informs our process. We provide extensive investment experience across multiple strategies/asset classes. We use our insight to allocate capital to the most efficient strategy mix, with the end goal of meeting client risk/return objectives. Our disciplined investment process combines qualitative, quantitative, and operational due diligence to find skilled managers. We’ve built a database of approximately 10,000 funds for evaluation, and we have invested in over 200 managers to date. We recognize sources of risk and return by integrating robust quantitative tools and techniques to make better-informed qualitative decisions. Our disciplined iterative process aims to determine weightings to satisfy all objectives and constraints based on the portfolio’s mandate. Risk management and adjusting portfolio allocations is an important part of any investment process. That’s why we incorporate risk management throughout the process to best understand, monitor, and manage sources of risk and return. Our robust risk process allows us to help advisors with difficult portfolio adjustments, with the goal of giving their clients peace of mind.